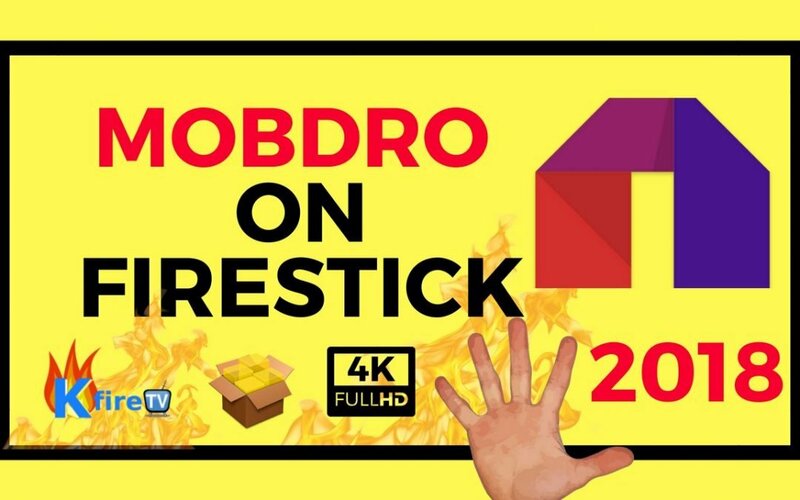 This guide walks you through how to install Mobdro on Firestick. Use the written steps in this guide or watch my YouTube video for installing Mobdro on Firestick. To summarize the process to install Mobdro on Firestick, we have 4 basic steps. These 4 steps are immediately below. To see each step broken down in full detail, scroll down to “Part 1: Install Downloader on Firestick”. Use Aptoide to install Mobdro on Firestick. Launch Mobdro and enjoy streaming movies & TV shows on your Firestick! Now press “Open” to launch Downloader. Then proceed to the next set of Steps! Great! Downloader is now installed. So keep going by following the steps in the remaining sections of this tutorial. Wait for the download to complete. The Downloader app then launches the Aptoide installer automatically. After Aptoide for Firestick is done installing, press Open to launch Aptoide. Now that Aptoide TV is installed on your Firestick, we simply just use Aptoide TV to install Mobdro on Firestick. Now use Mobdro’s “Movies”, “TV”, or “Channels” to stream whatever you want! That’s it! You’re done installing Mobdro for Firestick. From the Mobdro homescreen, select a “category” such as MOVIES. DroidAdmin (aka Filelinked) is an app that allows you to easily install tons of amazing Firestick apps with ease.